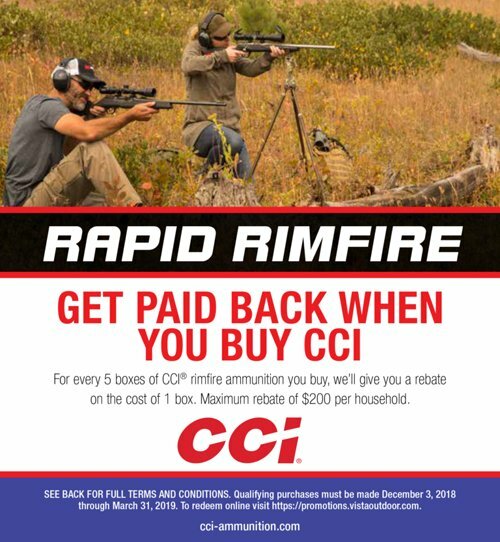 For every 5 boxes of CCI rimfire ammo you buy, CCI will give you a rebate on the retail price of the lowest price box purchased. Maximum $200 per household. LAX AMMO OC is NOT responsible or will not be held liable for the rebate and only advertises the promotion for CCI.